Our home goes through about 1000 KWH each month, and our electric rate is about 13 cents / KWH. So our average bill is $130 / month. Times 12 months our annual cost is $1560. Keep in mind this our average after already doing everything we can to reduce consumption. Changed every light bulb to compact fluorescent. Drained and turned off hot tub. Window AC unit in my office. We also switched from Reliant to Stream Energy. Something I have been considering is having a Wind Turbine installed in our backyard. I have been in contact with the guys at UrbanGreenEnergy and they have provided me with pricing on two of their models. 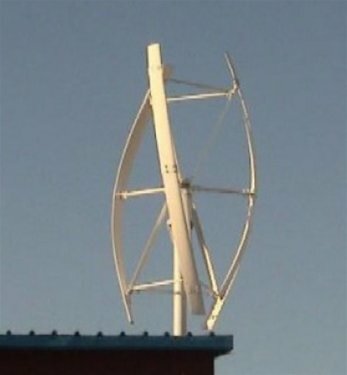 Their 4KW model runs close to $20k, and then has additional installation and shippings costs of $10K-$15K. So figure about $30K to produce 4000 watts at peak wind speeds of 27 MPH. This is great but I am figuring that with the amount of wind we have in Pearland, TX I would be lucky to get a consistent 1000 watts from this unit. This means it would be generating about 720 KWH each month, and not full filling all my needs. They also have a 10KW model, but after installation this runs aout $50K. However this model I figure would produce 2.5 times the amount the 4KW one would. Generating about 1800 KWH each month. The additional KWH I don't use will be fed back into the grid and I utility company should pay me. What i am trying to determine now is how much will they pay me, and will they send me a check or just give me credits for future months? Even if they do pay me, I dought they will give me retail for the power i feed back into the grid. They will most likely give me wholesale, which is fair, considering that is what they would pay other large power producers for their power. I estimate that whole sale would run about 8 cents / KWH. This means if they sent me a check I would get a check for $64 each month. Now keep in mind I am assuming that I will not be able to run at max capacity 24/7. If I was able to run at such a capacity my system would generate 7,200 KWH each month. and my power provider would have to send me a check for $496 each month. The Question is how long will it take for me to pay for the system and start profiting. How did you find out how much the local electric company pays for every kwh generated by you? I wasn't able to find the exact amount. But from what I have read online, after you are able to feed back enough energy back into the grid to have zero usage, they would only pay you the wholesale rate. However here in Houston the rates have gotten very cheap. ( 12 month fixed at 10 cents / KWH ) and 9 cents for variable. This presents a problem for those who want to make money with a wind farm in their backyard. Since the utility will only pay wholesale for the power you put back into the grid, the money to be made is much less than it used to be.